Other tab bar button for quickly going to a specific catagory. This is available from the main charts list window or from any music chart. Can now view Artist information on a chart entry. To use this simple, copy an iTunes radio stream, right-mouse button on entry then copy, then paste into the playlist. 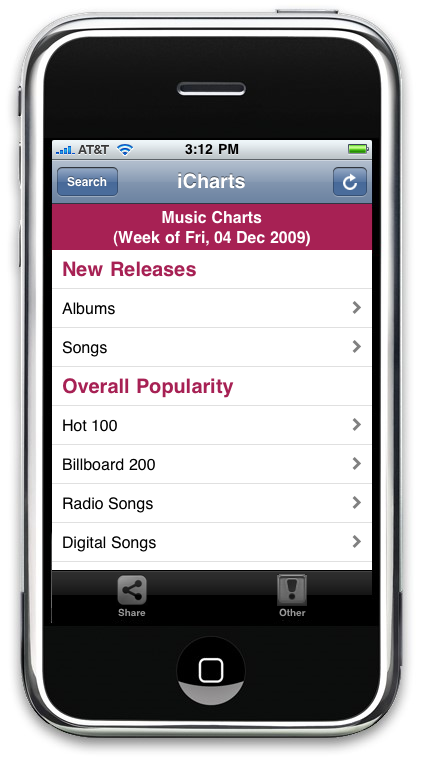 The radio streams are supported bby iPlayAnywhere for iTunes using a browser and iPlayAnywhere for the iPhone.